Once logged in you'll be returned to the InstantKB homepage. You will notice the Login & Register links displayed within the upper right have now been replaced with your username. 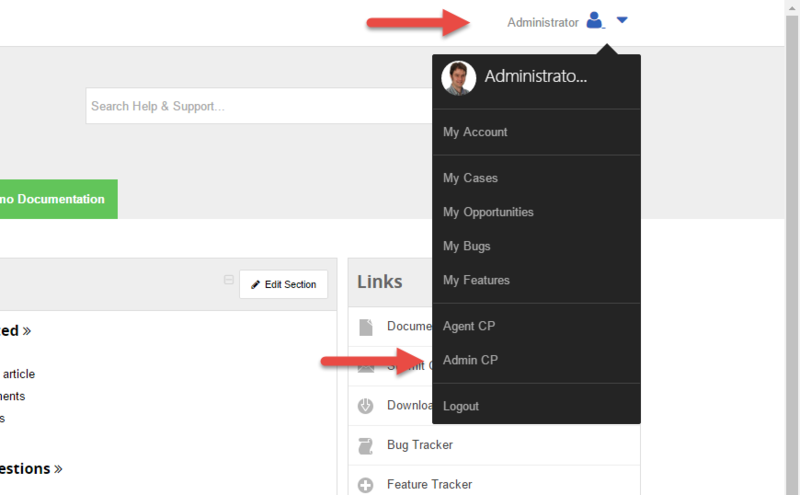 Click the Admin CP link to access the administrator control panel as shown above. Once you are able to access the InstantKB Administrator Control Panel it's important to update the default administrator account credentials.​For further reading please refer to Updating the default InstantKB Administrator Account.